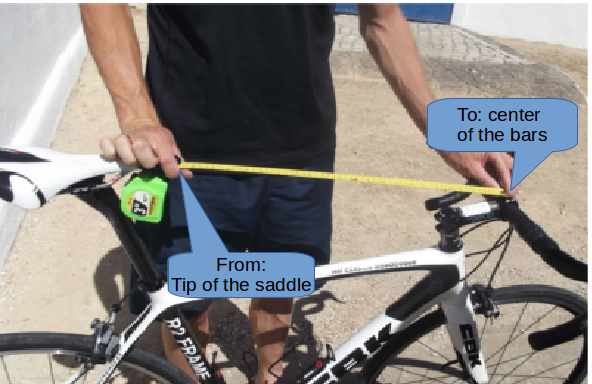 In order to provide you with a bike close to what you’ve got at home, we need bike measurements. 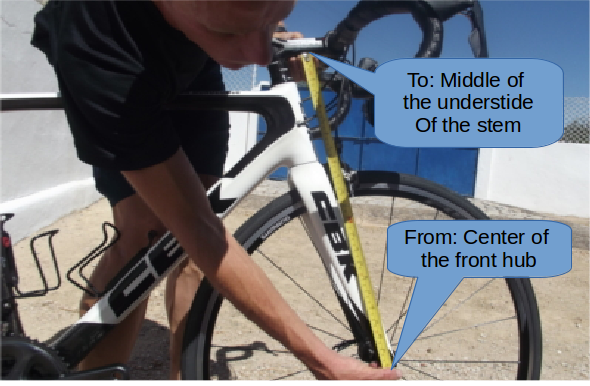 We can get a very good idea of your bike size from your height, however the following bike measurements will help us choose the ideal bike for you. If you want to get really close we can change the saddle to your own saddle: it wont be the same as your bike, but it will be close, comfortable and working well. 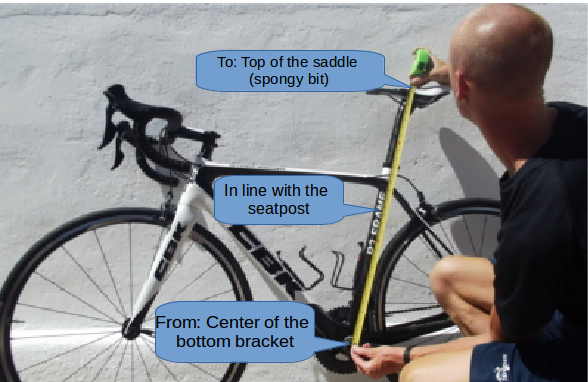 The measurements bellow are intended as a quick hack and not a thorough bike fit. Given slight differences in the morphology of frames, stems, handle bars we can only get a close fit. Basically allows us to know how many spacers to place under the stem. There are a number of factors which affect reach, including the seat post angle (usually about 71-73º, larger frames being more slack), saddle set back, frame length and stem length… So this is just a hack. If you do know you saddle set back (measured from the centre of the bottom bracket in the X axis) then we can put that correctly. Please note that, no two bikes are identical. As Dr. Andy Pruitt said “Cycling is a marriage of the human body, which is somewhat adaptable, and a machine that is somewhat adjustable“. P.s. Apologies for the American spelling of center!